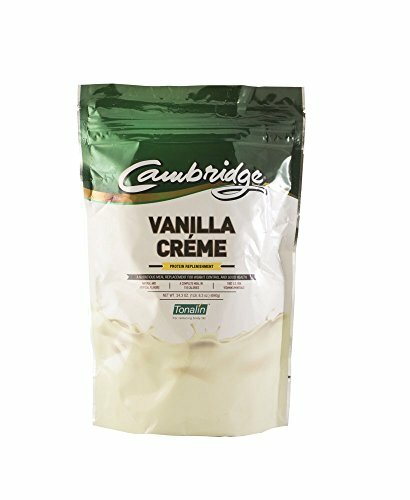 The Original Cambridge Diet formula, Vanilla Creme with Tonalin CLA has 1 gram of Tonalin per serving, contains less sodium than the Original French Vanilla and is considered a low-lactose formula. Tonalin helps reduce body fat in three ways: Reduces body fat by up to 10%, maintains and increases lean muscle mass and prevents fat regain. 6 pouches per case, 110 calories per serving and 23 servings per pouch. Monthly Special: Order 3 Cambridge Products and receive one free pouch of any Banana or Orange of your choice Please note monthly special and flavor in comments.